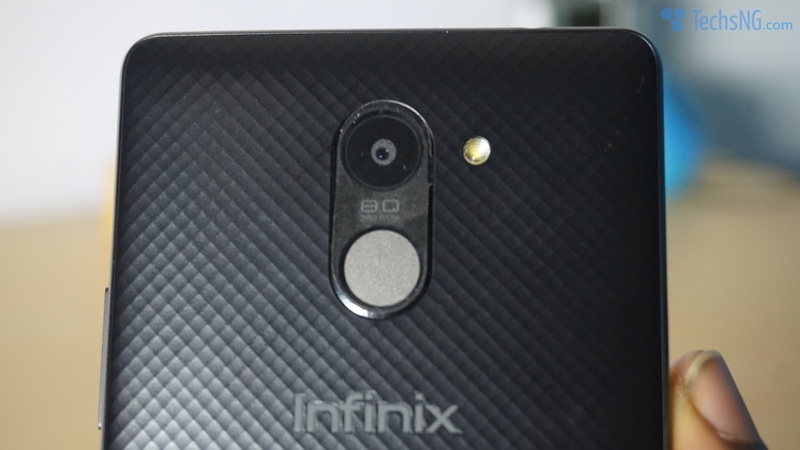 Infinix recently launched some new smartphones into the Nigerian market. 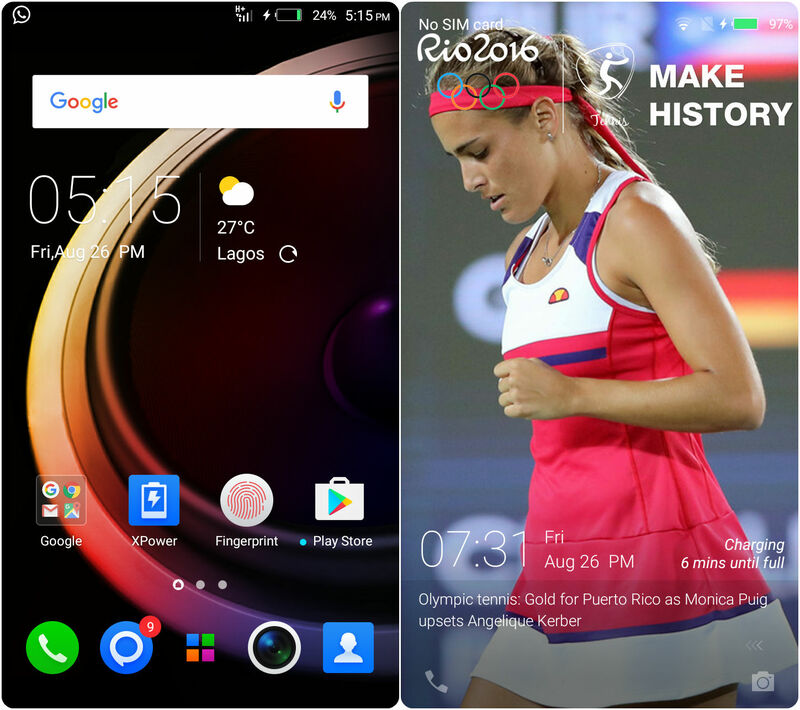 And out of these smartphones is the latest addition to the hot series; the infinix Hot 4. 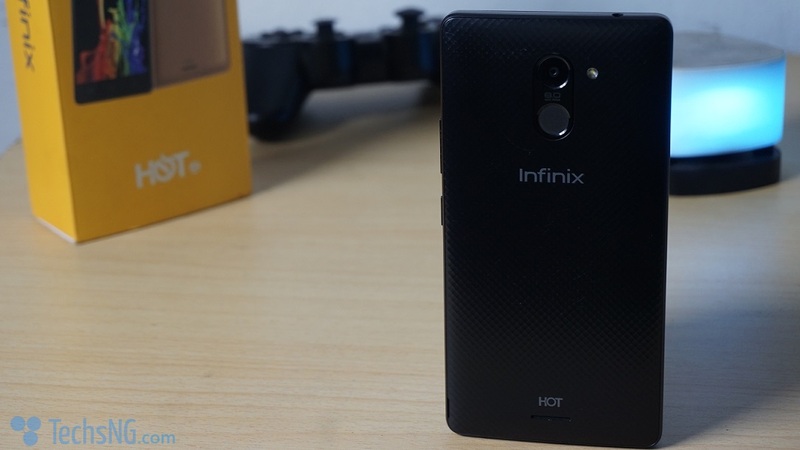 Customary with the brand, the infinix hot 4 carries the number tag, X557. But, that doesn’t really matter does it? What matters now is the review right? 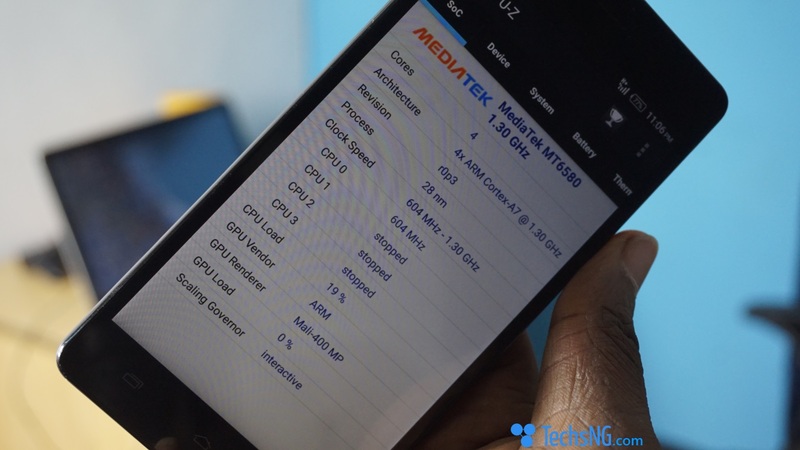 The infinix hot 4 is powered by a 1.3GHz Quad core MediaTek Processor, 2GB RAM, 16GB internal storage which of course, is expandable using SD cards. 5.5inch HD display, 8 megapixels back camera, 5 megapixel front facing camera, fingerprint ID and on the battery side, the device packs a 4000mAh battery. Having said that, let’s move on to the full review of the smartphone. Starting off in this regards, let’s talk on the design. 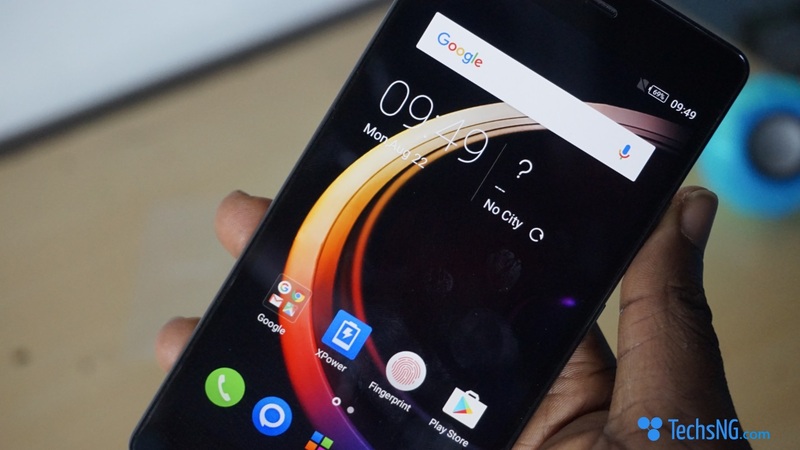 The infinix hot 4 doesn’t feature the best design on the brand’s line of smartphones. Personally, I’d rather prefer the hot 3 design to that of the hot 4. Although both back pack designs are actually plastic, that on the hot 4 looks very similar to what we had on the infinix hot x507. 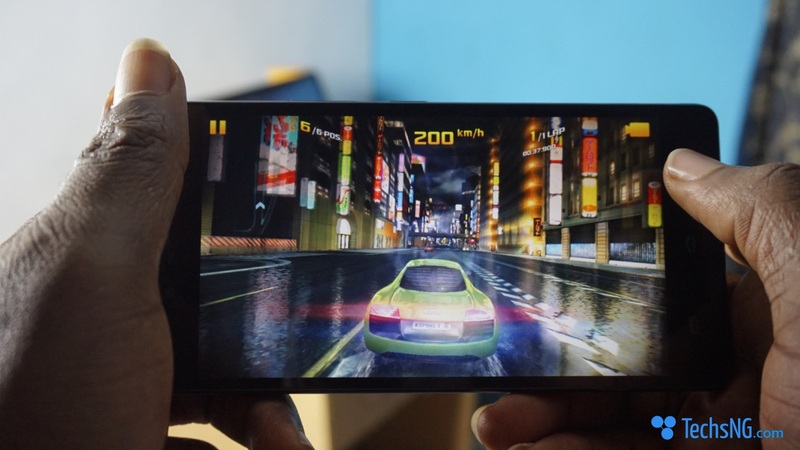 For those who don’t know, the infinix hot x507 is the brand’s first phone in its line of Hot Series. At 175g, the device doesn’t feels light in the hands. Although the 4000mAh battery can be blamed for the extra weight, I still think something could have been done in further reducing the weight. But then, you only feel this way when holding the device for the first time, subsequently, you’d most likely appreciate the design as well as the feel. 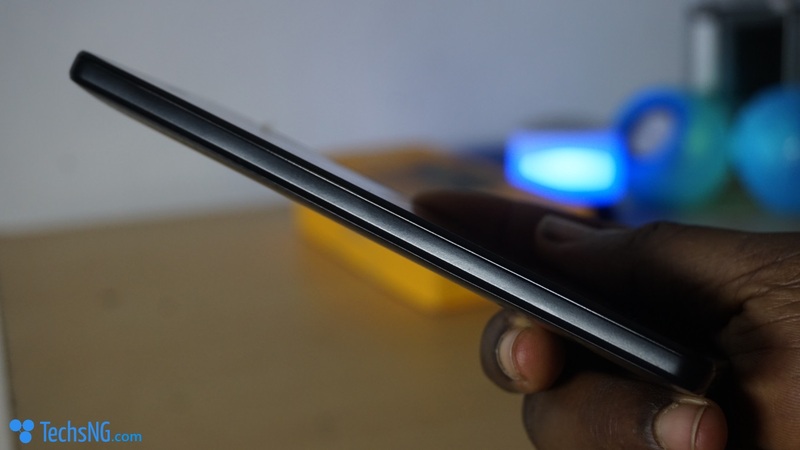 Of course, not forgetting infinix tags the back plastic as 3D texture feel. Yea, 3D texture! 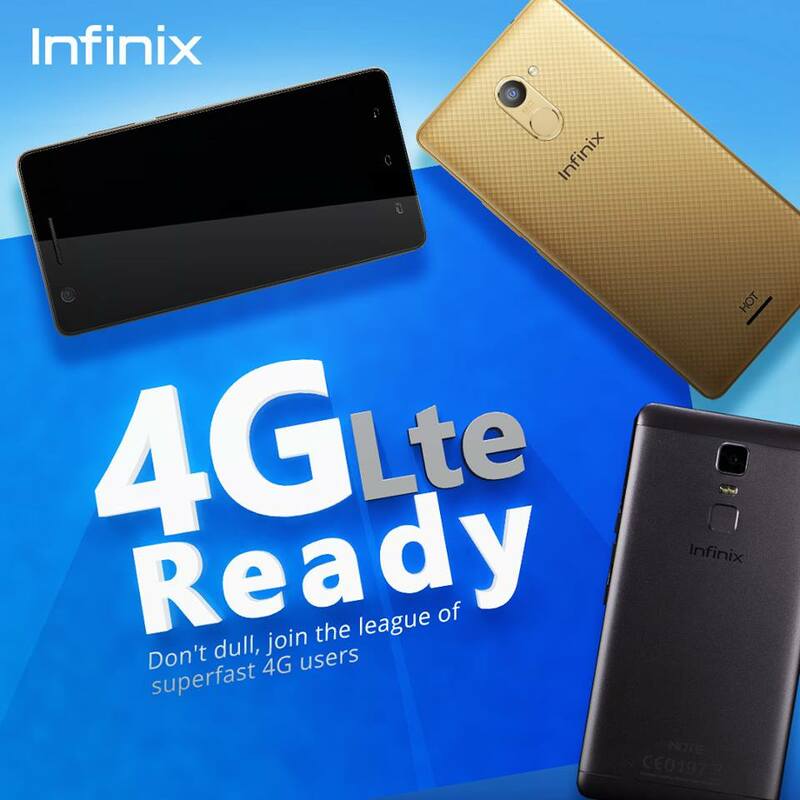 Display wise, the infinix hot 4 suits an average user. 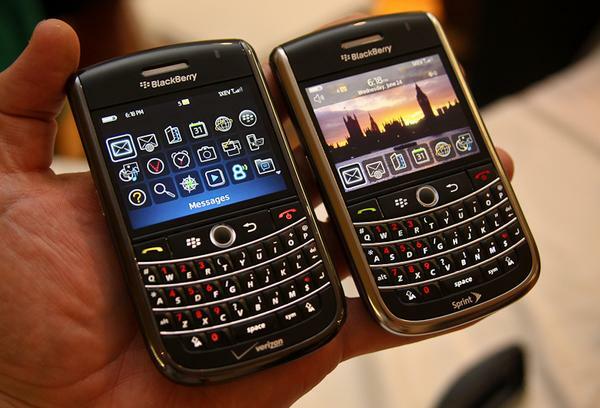 The device features a 5.5inch screen size with a resolution of 1080 x 720 formally referred to as HD display. 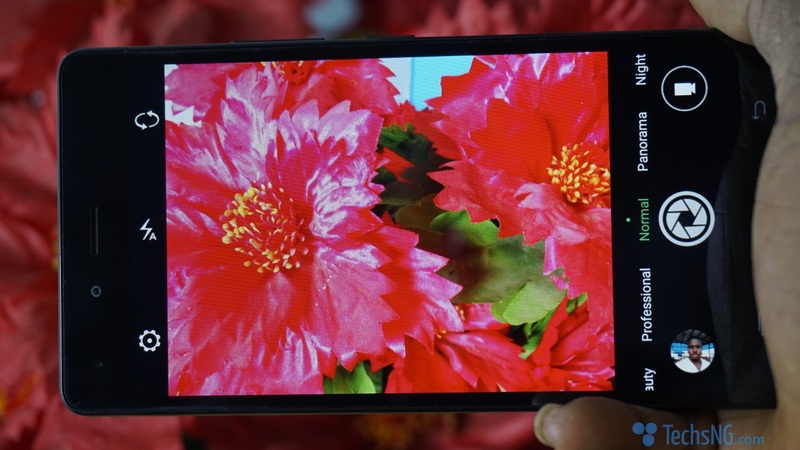 Although the display isn’t top notch, at least, for advance users, it suits just right for it’s price as it sets you going without having to deal so much with display quality. Watching movies on the device didn’t disappoint as display came out pretty well. But of course, you shouldn’t expect same thing a FHD or Quad HD offers. On the security side, I would say the fingerprint sensor is one of the pros of the smartphone. 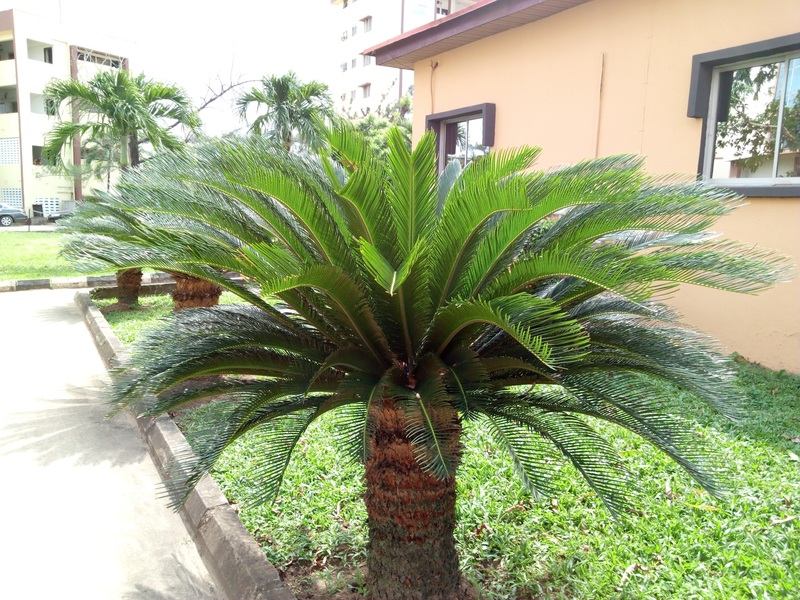 The device unlocks in a breeze. What’s more interesting is that, you don’t necessarily need to press the unlock button and place your finger on the sensor before it unlocks, simply placing your finger even while the display is off, automatically unlocks the device. Cool huh? This however, may not be good news to all you folks who like to walk with your hands in your pocket and your phone in same pocket. If you tend to walk that way (like myself), be sure to watch your phone placement against your finger. 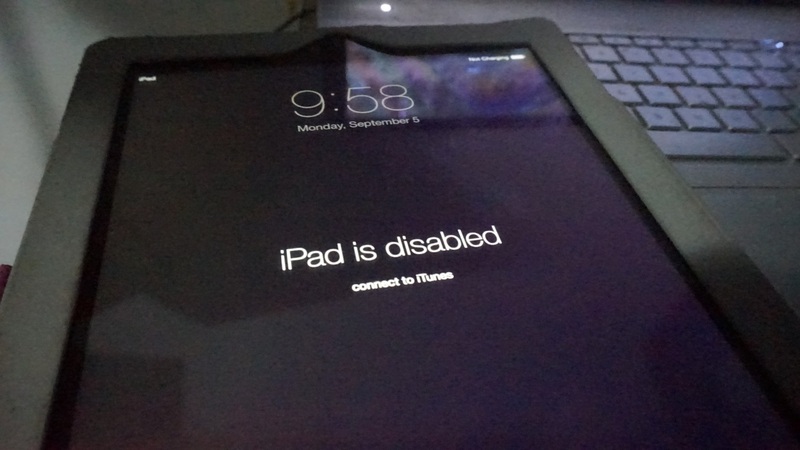 You don’t want to mistakenly unlock your phone and mistakenly call your …… (Fill in the gap). 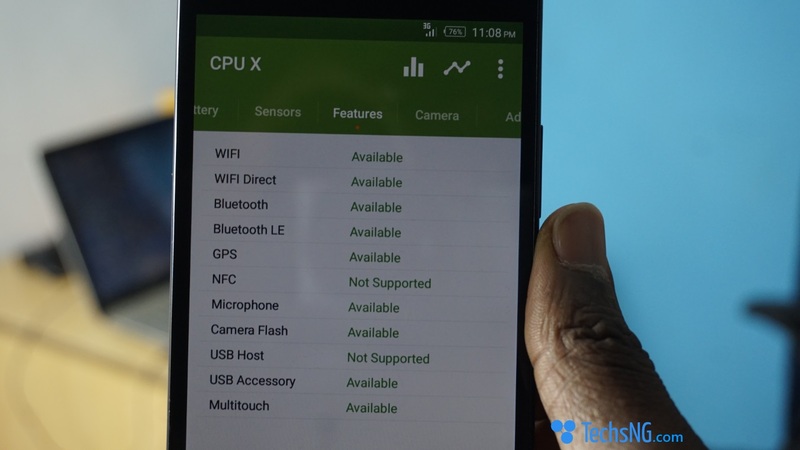 The infinix hot 4 runs Android 6.0 marshmallow customized with XOS out of the box. The XOS, I would say, brings quite some handy features to the table. 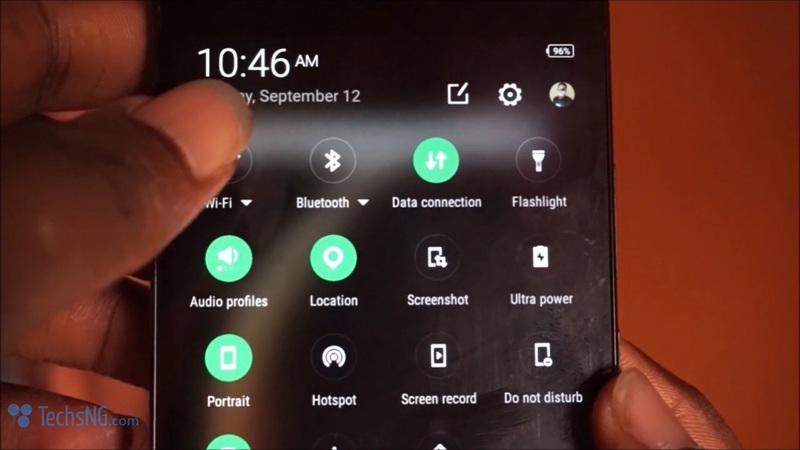 You have the feature to easily take a screenshot via the notification tray as well as recording your phone screen without the need of installing another app. But of course, this comes with a price. Bloat-wares. That however, shouldn’t be much of a worry to you. Some of these pre-installed apps are quite essential. 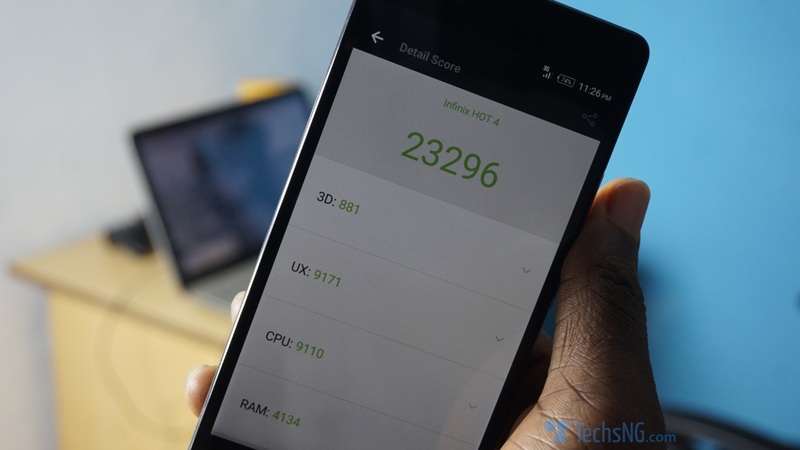 Regarding performance, I would say, infinix did a pretty decent job. 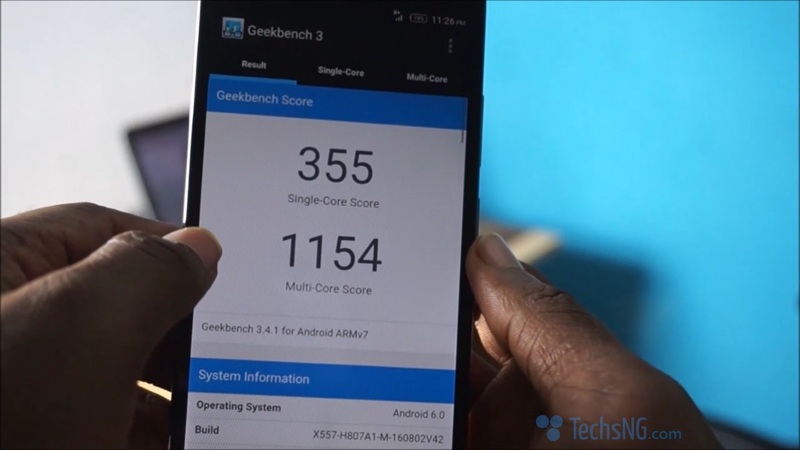 Although the device is powered by a 1.3GHz quad core processor, with 2GB RAM, I barely experienced any lagging during the course of usage. 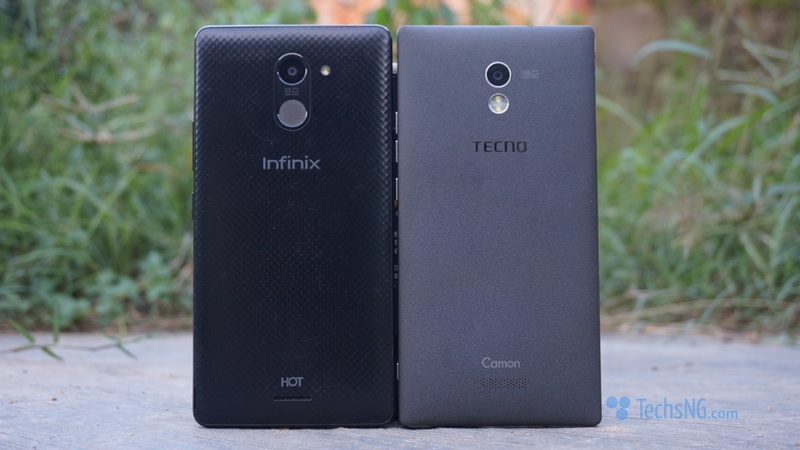 To be candid, the hot 4 out-performed the tecno Camon C9 in this regards. Yes, you read that right. 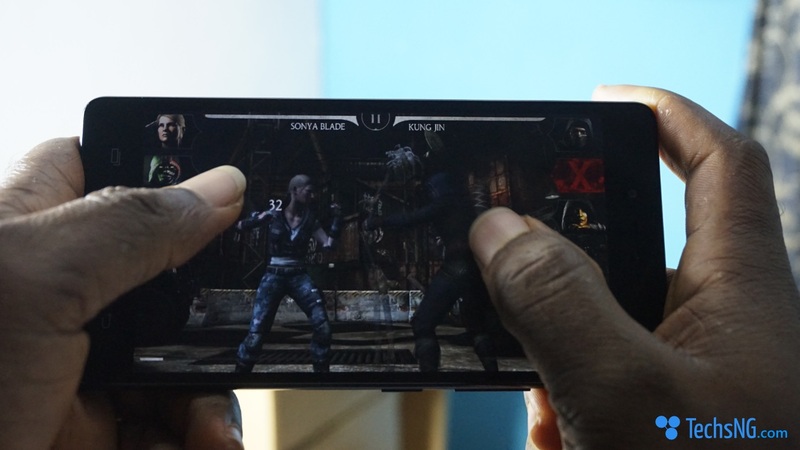 I was able to play HD games like Mortal Kombat X, Asphalt 8 and modern combat without issues. Multitasking is also much better on the hot 4 as long as you keep a low profile. 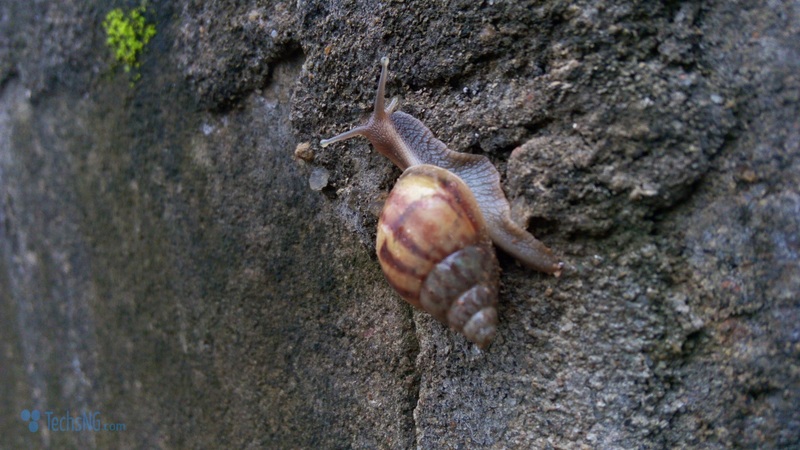 It has been proven that megapixel count doesn’t always translates to better image quality. 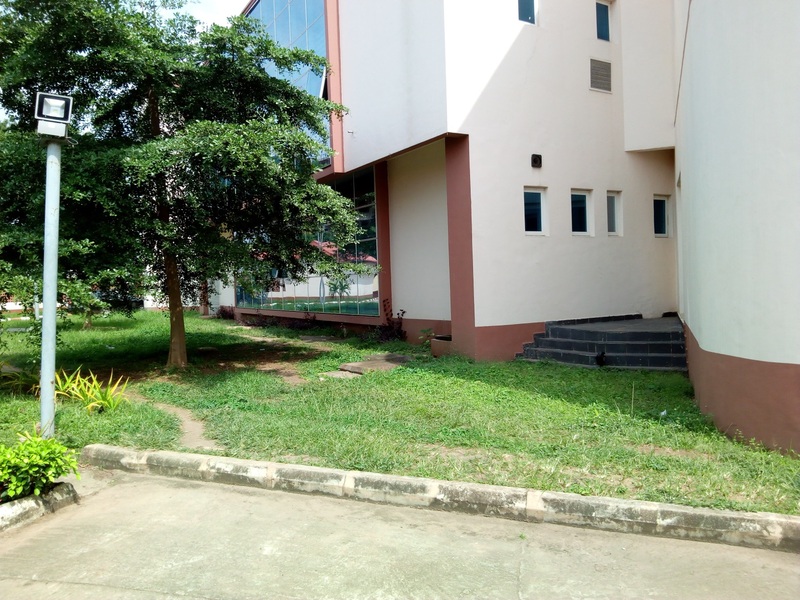 The infinix hot 4 features an 8 megapixels back camera accompanied by a 5 megapixel front facing camera. 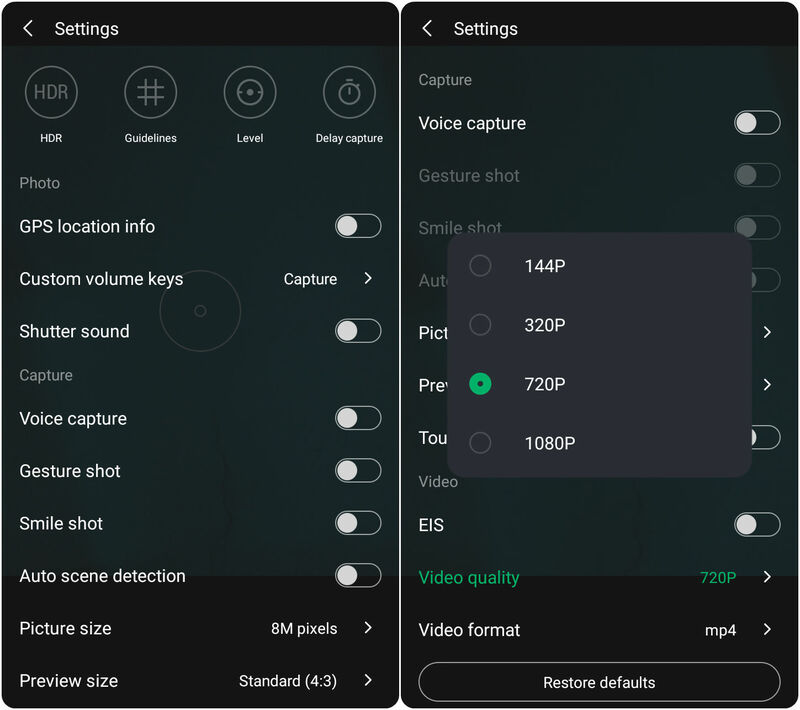 And I would say, the device does pretty OK. You can also choose between modes on the infinix hot 4 and also adjust the camera settings if you know exactly what you are doing. 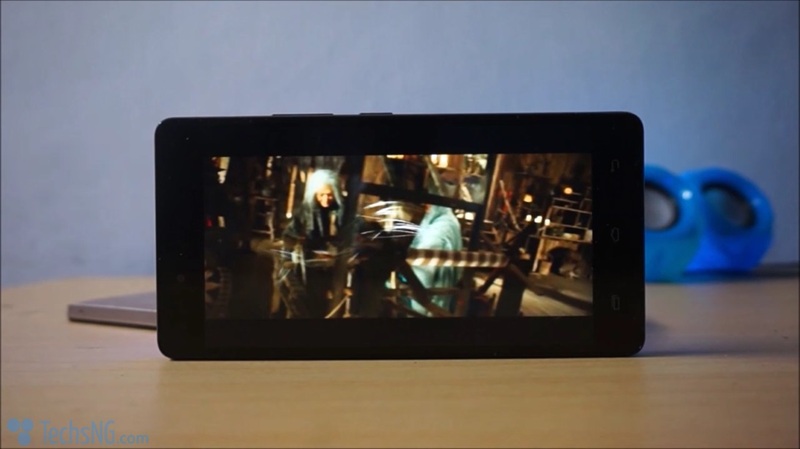 The device can actually shoot videos in 1080p quality (as seen in the image above). 1080p is formally referred to as Full HD. 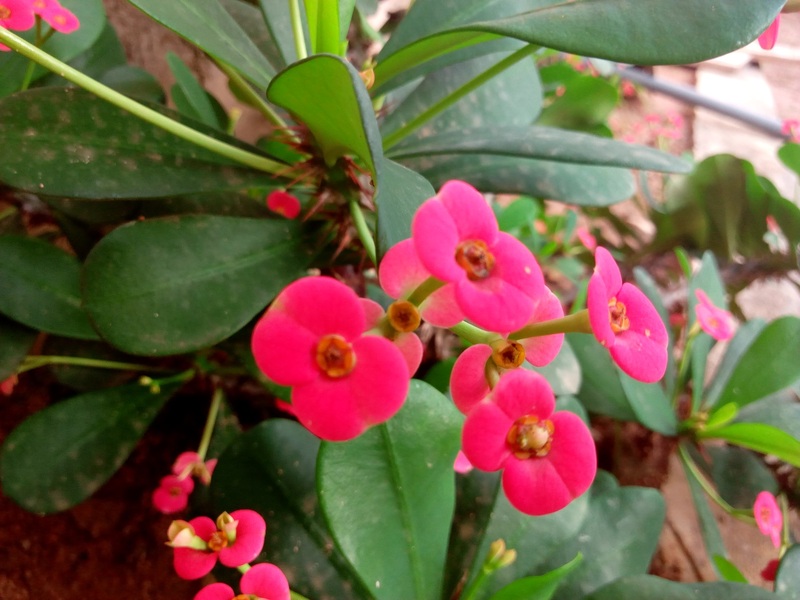 Below are some shots using the smartphone’s back camera under well lightened conditions. The front camera also performs pretty well. A worthy mention, would be the front flash. Compared to that on the hot 3, that on the hot 4 is much better. Hence, you can be sure of good front facing pictures even under low light conditions. As far as call quality goes, there’s nothing out of the ordinary with the hot 4. The earpiece is of average quality, with volume being decent. 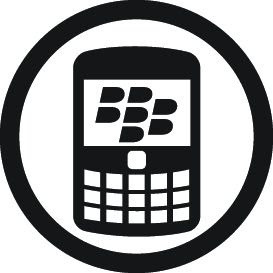 During the course of use, I experienced no issue with call quality and you get decent volume on the device. On the network side, you get the usual 2G and 3G network modes which you can toggle between anytime. Unfortunately, NO 4G. The device doesn’t support 4G LTE network mode. 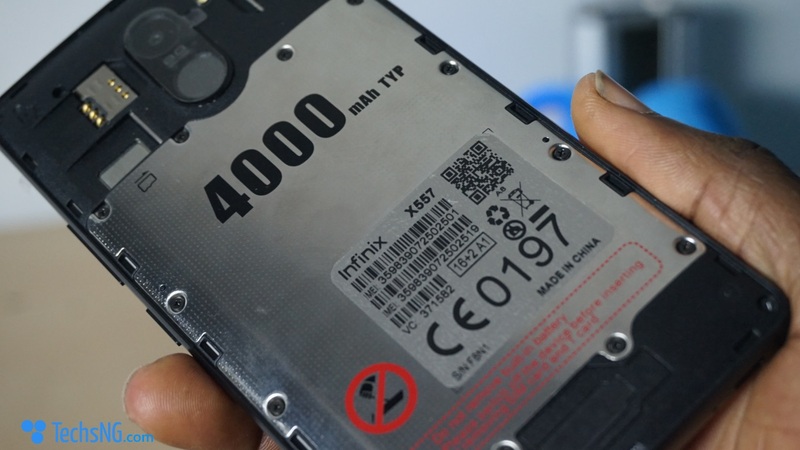 Packing a 4000mAh bettery, the infinix hot 4 performs pretty well in keeping me juiced all through the day and even more. I literately never had a reason to switch to 2G network mode for the weeks I kept using the device. I mean, what’s the need to? For battery preservation right? Well, I don’t need to on the hot 4. Thanks to the battery. 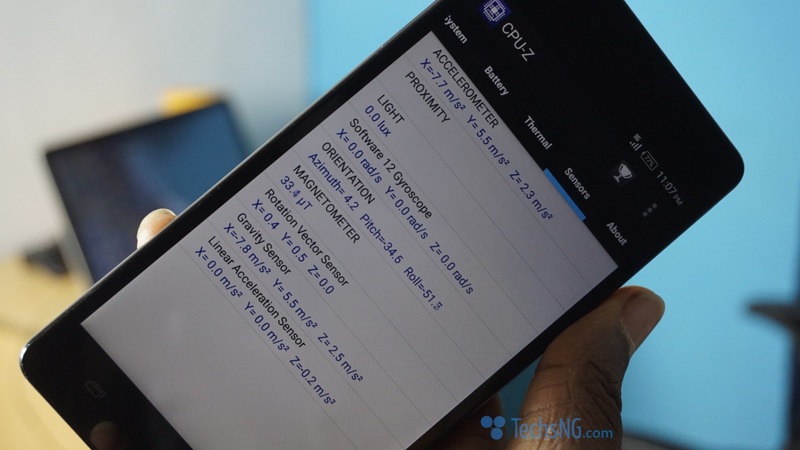 As far as fast charging goes on the infinix hot 4, well, emmmm, I am not sure what infinix meant by fast charging on the device. However, a full charge from around 24% took about 2 hours, 20 mins (by estimate). If that’s fast charging to you, then, it is. In conclusion, retailing at a very affordable price, i would say, the infinix hot 4 gives a little more than the price. 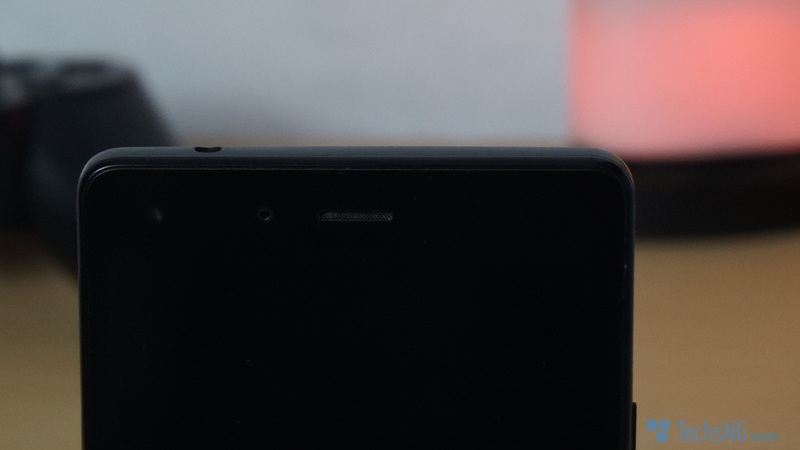 However, the device has it’s cons like the soft touch not back-light enabled, no notification light, the back pack being prone to easy scratch, and the Loud speaker placement. 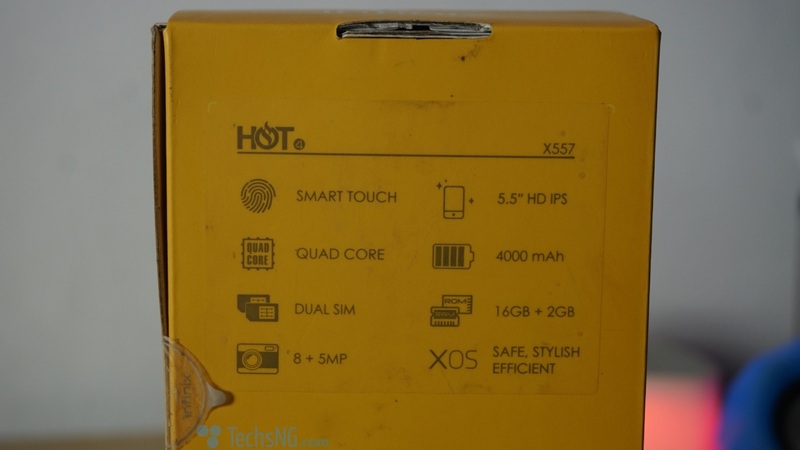 Other than that, the infinix hot 4 x557 is certainly a good bargain for it’s price. So, that’s it guys for the review of the smartphone. Please, feel free to rely your questions and opinions using the comment session. Good review. Lack of 4G LTE is a big flop despite d attractive price. Very detailed Sir. Thanks a lot.